organizations of any size. Our goal is to help our esteemed clients eliminate issues bordering on having incompatible or inexpert employees. Prepare patients for surgery and assist with procedures like Aural washout, Endoscopy etc. Provide or arrange for training/instruction of auxiliary personnel. 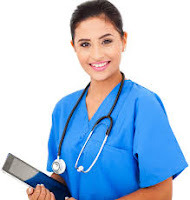 Qualified Registered Nurse with valid practicing license (double qualify added advantage). Years of experience: minimum of 3 years post-qualifications.